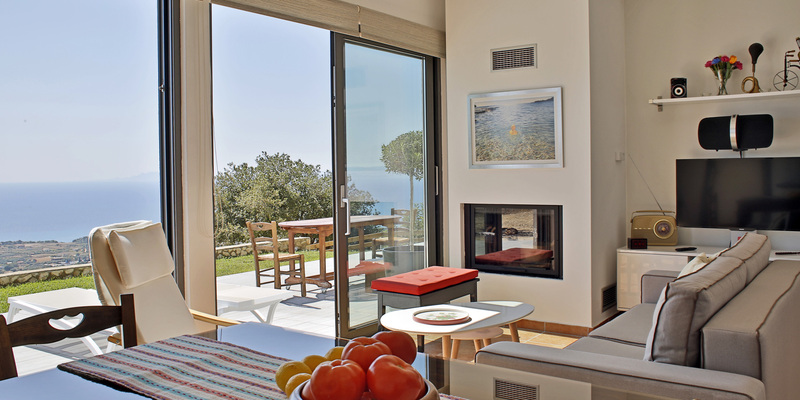 Located on a secluded hillside, Skala Villa allows you utmost privacy and relaxation away from prying eyes. 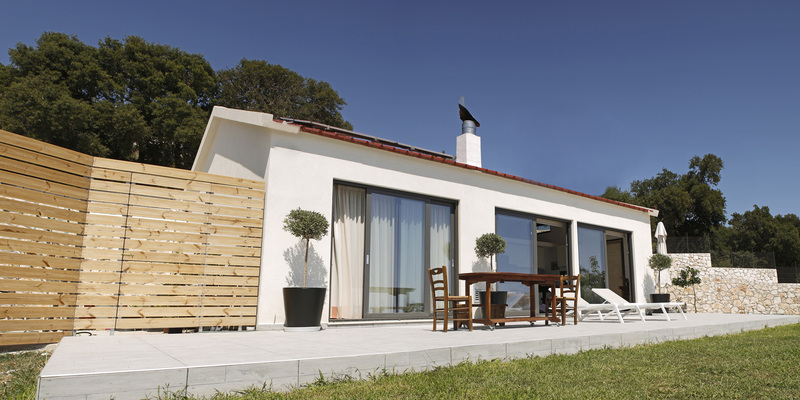 The villa is built to extremely high standards providing quality, strength and stability, and is fully insulated providing a cool respite from the hot summer sun. 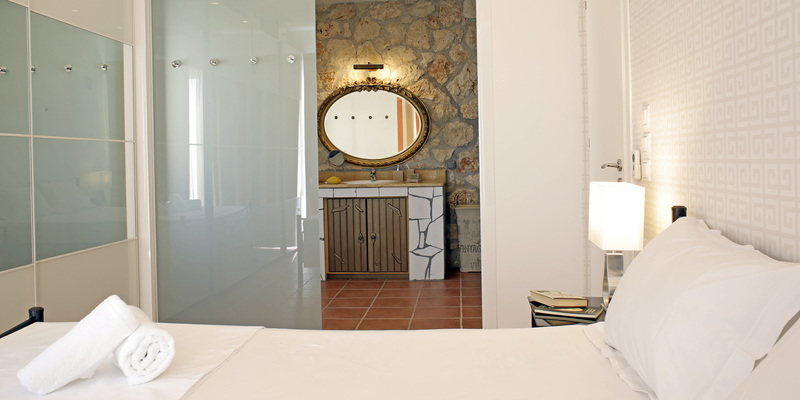 Furnished luxuriously, the interiors offer a unique blend of Greek tradition and modern design. 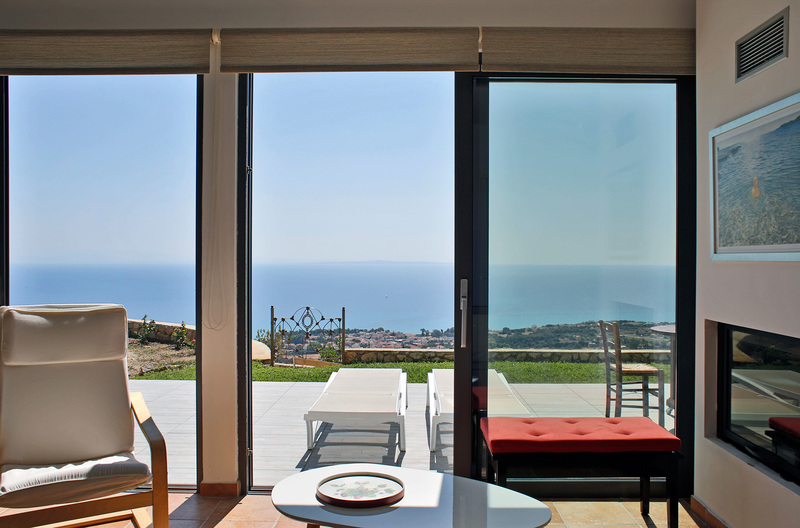 South facing two bedroom villa in Old Skala with breathTaking views across the Ionian Sea to Zante and mainland Greece. 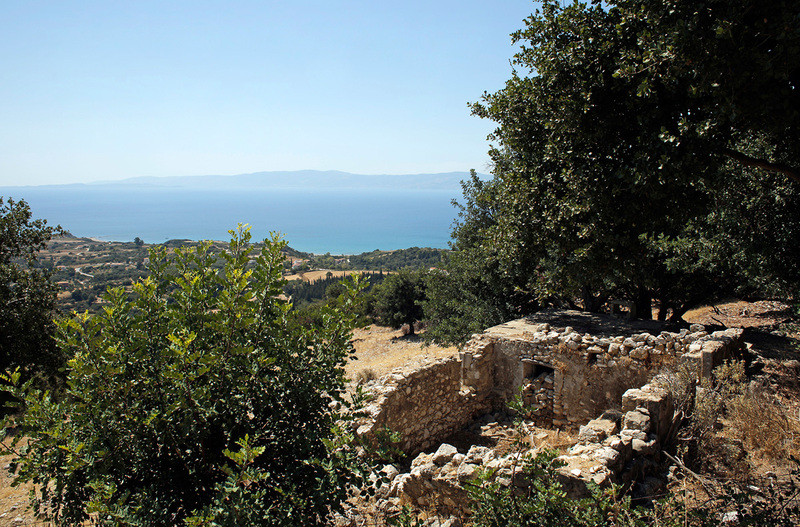 The villa surroundings include fruit trees and olive trees and a traditional "aloni" or threshing circle going back hundreds of years, which is now marked by a mulberry tree at the centre. 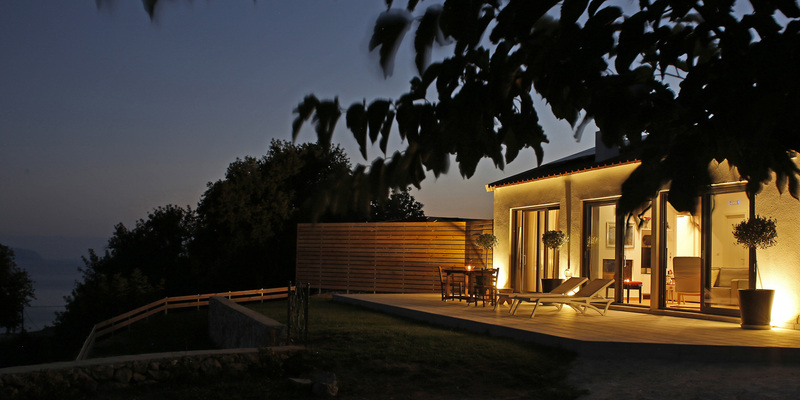 The perimeter of the surroundings is marked by artisan Kefalonian stone walls, ensuring your security and quietness. 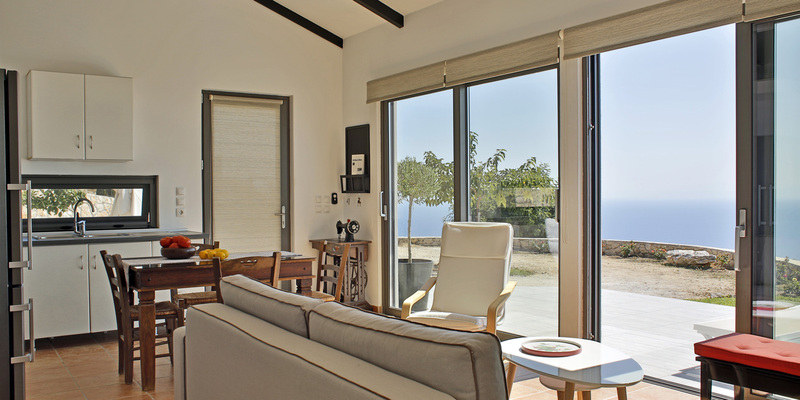 The villa has been built with an eco-friendly ethos. Where practical and possible we have made use of nature's gift. With 300 days of sunshine per year, this means our solar panels generate electricity and hot water with minimal reliance on the grid. In addition, due to high quality materials used such as triple glazing and wool insulation, the villa is kept cool from the strong summer glare with just ceiling fans in place. For those who wish to use air conditioning, a highly efficient individually operating central unit is available at no extra cost.